The complete Fyne desktop experience is not yet ready for every day use. We are working to build the basic features that make it easier to build on. 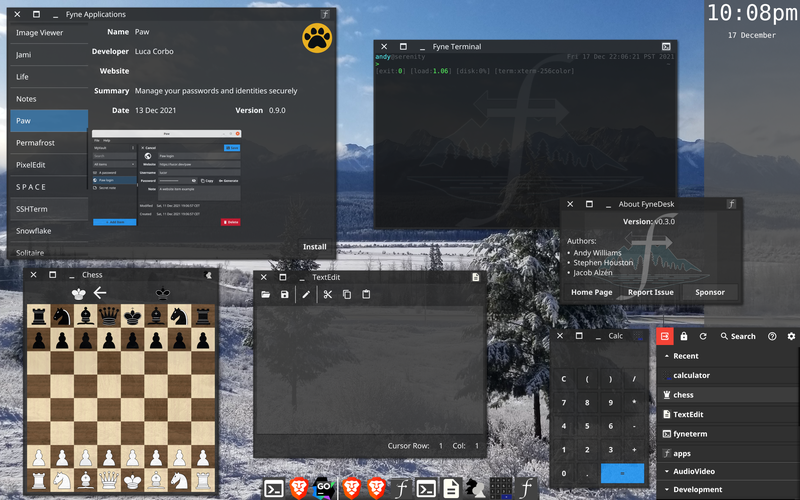 However all apps built using the Fyne toolkit will work on Windows, Mac OS X and most Linux distributions as well as integrating perfecty into the future Fyne desktop. If you're interested in helping to shape the desktop experience then you can follow our [desktop repository](https://github.com/fyne-io/desktop) and get involved.